I am very proud to announce that I am now a "Mercuriall Audio" artist. Mercuriall is an awesome company based in Russia, delivering the best guitar plug in I've tried so far. Click here to check out my "debut" demo for Mercuriall Audio. I'll make a long series of videos showing all those amp emulator plugins can do. Make sure you subscribe my YT Channel. My new upcoming album "The Silent Watcher" is being mastered while we’re speaking. I'll come up soon with some more news about which record label is gonna release it and the exact release date & distribution. As I mentioned last month I'm starting recording soon a new album for a "top secret" supergroup. More news about it to follow soon as well as videos. Hey! Some news from my side . . .
Out today my Kemper Signature Sound Pack! You can buy that HERE! Check out some of the profiles on this video! All those profiles have been done together with my favorite sound engineer Davide Castagnone. My new full length album: "The Silent Watcher" is at its final stage of the mixing process. It will be mastered soon and the release date will be communicated soon. This time the album will be released in different formats, not in the traditional way. More news on this topic coming soon. I’m also starting a new album with a "new" band in June, in this case the whole recording process will be taped on camera. Perhaps for a future video release? I am shooting the official videos for every single track of my previous album: "The Art Of Complications" which includes on every single video the tabs of the guitar parts, so any of you, shredding guitar players, can learn the songs exactly how I play them. Keep an eye on my YT channel; I’ll be releasing a new video every week or so. I have been guest on the album of a band from China/US called "Mainframe". I did record all the guitars on the song "Peter". Many things going on here at the D.S. Camp in Norway. 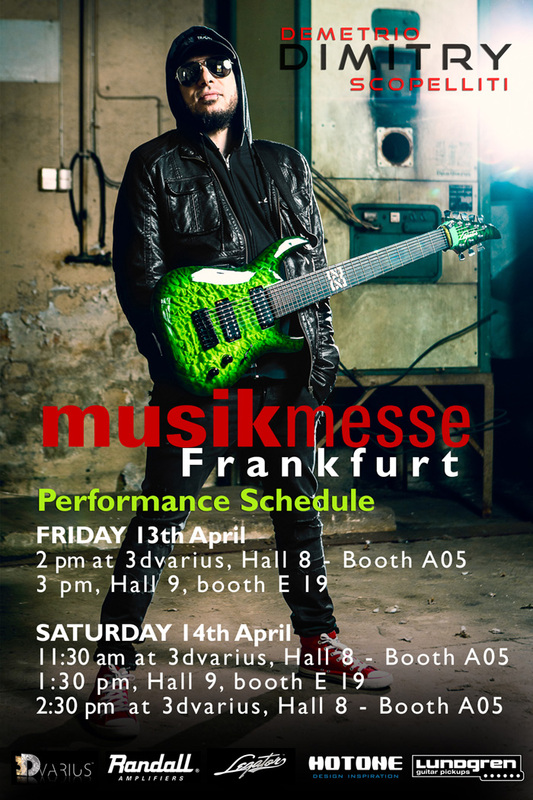 I’m getting ready for the Frankfurt Musikmesse 2018. 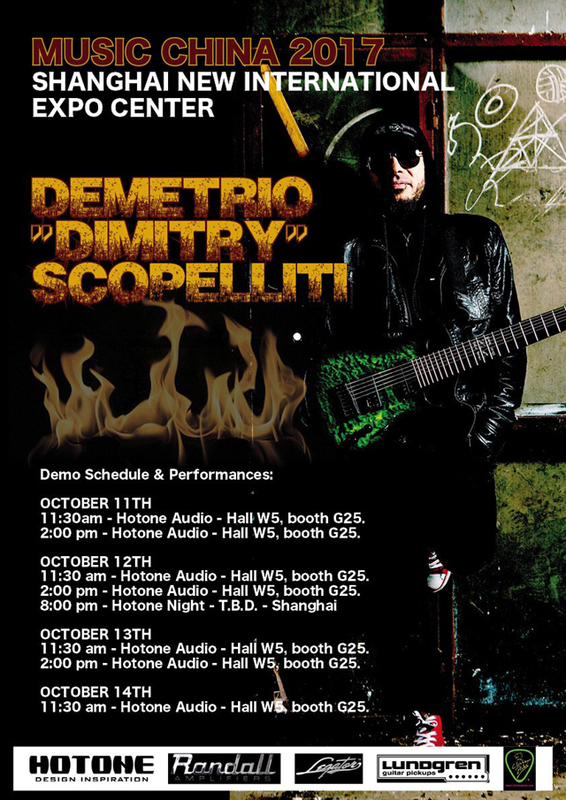 I’ll be playing at the 3DVarius booth jamming with my bud Laurent Bernadac on Friday 13th April and Saturday 14th April. We're gonna surprise everyone with our weird mix between 8 string heavy metal and modern violin based music. You can watch our recent performance at Namm 2018 here. Going back to my new upcoming album: "The Silent Watcher", I'm currently mixing the album; I have tons of famous and awesome guests (you’re gonna be amazed). So far everything is kind of “Top Secret” but as soon as the album will be ready I’ll release a press statement and announce and describe the album in details. I would say now the album is at its 80%; it sounds killer in terms of production & musical contents. Soon my Kemper Profiling Sound Pack will be released. Here you can find the documentary (the making of) of the profiling sessions. More updates about this topic and much more will be communicated soon on this page. I’m here in the studio mixing the new album and learning the songs for playing them live at Namm 2018. The new album is called: "The Silent Watcher", 7 new tracks of 8 String "Instrumental Prog MetalCore" plus 3 Bonus Tracks to be recorded at " The Noiz Faktory Recording Studio" in Texas at the end of January. Once again I’ll play at "The NAMM SHOW" in Anaheim, Ca, USA, starting on January 23, 2017. So proud to announce that next week I’ll be playing, for Hotone Audio of course, at "Music China 2017", Shanghai, China, the biggest music expo in the world.